We’re in the midst of what is shaping up to be an epic Winter here in the Northeast (knock on wood). With record numbers of skiers and riders headed to the mountains in their Jeep Wranglers, the eternal question of how to get your skis to their destination safely and securely is raised once again. What’s that you ask? “Can’t I just throw my skis or snowboards down the middle of the inside of my Jeep”? Go for it. And enjoy the wet snow melting all over you and your interior while you and your buddies/family elbow your gear for room during the long ride home. Is there a better option(s)? Yes. Thule has updated their Jeep Ski Rack solutions for us for 2013 (see above). Step 1: Attach the Thule Spare Me (963PRO) Bicycle Rack to your Jeep Wrangler’s Rear Mounted Spare Tire. Yes this doubles as a bicycle rack in the off season. Step 2: Hook the newly re-designed Thule 9033 Tram (carrying capacity of up to 6 pairs of skis or 4 snowboards) to the Spare Me. Step 3: Get up to the mountains and start having fun! Note: This solution works for any Jeep (or other vehicle) with a spare tire. The other option for a Jeep Wrangler Ski Rack here at JeepWorld.com, which also happens to be the solution I use personally, is the Thule 300 Footer with Thule 58″ Load Bars combined with a Thule Flat Top Ski & Snowboard Carrier. Simply attach the footers to the rain gutters on your Jeep’s Hard Top and attach one of Thule’s Flat Top Ski Carriers to the load bars. Voila! Another easy and safe solution for getting your gear to your favorite ski area. This solution is for 2007-2014 Jeep Wrangler JKs with Hard Tops only. Both options are available here at JeepWorld and can ship same day (if your order arrives by 2pm EST). We know that your Jeep is your favorite vehicle, so tell us what your favorite mountain to ski and ride is in the comments below. This entry brought to you by www.JeepWorld.com; your online source for Jeep Parts and Accessories! From Jeep Floor Mats to Jeep Tire Covers, we’ve got what your Jeep needs! We also carry a huge line-up of Thule Racks to help you carry skis, snowboards, kayaks, canoes, bikes, and luggage carriers for your Jeeps! For all the Jeep Accessories your Jeep can handle, see your online Jeep experts at JeepWorld.com. 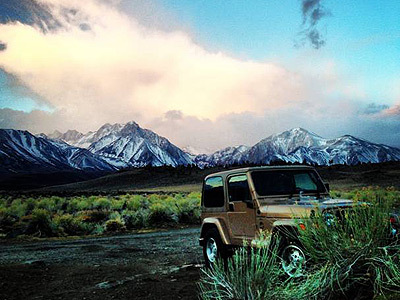 From Jeep Wrangler Side Steps to Soft Top Replacements and Jeep Bike Racks we’ve got it all. Check us out at www.JeepWorld.com or feel free to call at (800)511-8645. Let us help you have MORE fun in your Jeep! 1. The first is for 1997-2010 Jeep Wranglers with either no top or with the soft top down, which makes it ideal for sunny days. You’ll need to start with our Jeep Base Rack Kit (Part#45058) by Thule which includes footers (to attach to your Jeep’s roll bars) and Thule 58″ Load Bars (to attach a carrier to.) You will also need either a Jeep Kayak Rack, a Jeep Canoe Carrier, or Jeep Surfboard Carrier (if you live near the beach) to carry your vessel. 2. The other option is for the Jeep Wrangler JK (2007-2013) with a hard top. Start with the Hardtop Base System for Jeep Wranglers (Part# 300). This will include the footers that attach directly to the hardtop and the Thule 58″ cross rails. UPDATE (5.15.12)- See this post for more on carrying a kayak on a Jeep Wrangler JK. Next you’ll need to attach a carrier to the base rack set up. To carry a kayak on your Jeep Wrangler, choose either the Jeep Wrangler Kayak Rack (Thule Stacker #830), which can hold up to four kayaks, or the Thule Glide and Set (Thule #883). To carry a canoe, use the Jeep Wrangler Canoe Carrier (Thule #579XT), which holds one canoe per carrier. For all you lucky dogs on the coast that need to carry surfboards, use the Jeep Wrangler Surfboard Rack (Thule #554XT) to bring up to two boards to the beach. This is just another way we want to help you get out there and have fun! Enjoy! For all of the cool stuff to make your Jeep Wrangler even better, check out JeepWorld.com. We’ve got enough Jeep Seat Covers, Jeep Side Steps, Jeep Floor Mats, Jeep Winches, and Jeep Bumpers to make every Jeep a happy one!